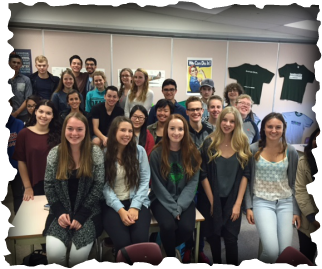 In English 12 AP, students will work to produce their finest writings, and to engage in their most sensitive and serious readings of literature. The literature to be studied and the assignments to be completed during the year will provide ample opportunities to deepen each student’s literary background and to prepare students for higher level learning at college and university. 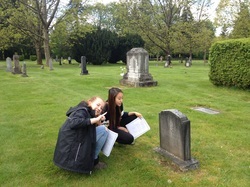 Field trip to Fort Langley Cemetery after our study of Gaiman's "The Graveyard Book"
In English 8 Gator Pod, students will work to develop their skills and confidence in literary analysis, collaboration, and both written and oral presentation (with and without technology). 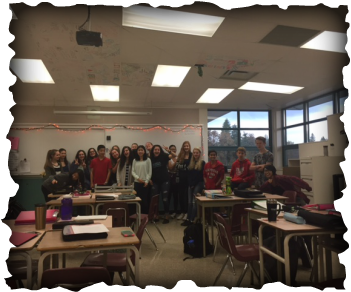 In English 9 Honours, students will work to refine their written expression in a variety of forms and styles. They will also continue to feed their passion for literature.